On Friday the 13th of August a bitterly divided Wisconsin Supreme Court issued a 4 (Gableman, Prosser, Rogensack and Ziegler) to 3 (Abrahamson, Bradley and Crooks) decision to commit an unprecedented and irresponsible act of judicial activism. It blocked from continuing in effect, a disclosure rule that would require outside organizations trying to influence the outcome of elections in Wisconsin -- through disseminating campaign communications masquerading as issue advocacy -- to disclose their donors and register with the state: Court halts rule on political ads. The rule, which was promulgated by the Wisconsin Government Accountability Board (GAB) -- and not opposed by the Wisconsin Legislature -- took effect on August 1st. But the narrow majority on the court intervened at the behest of several outside special interest groups seeking to preserve the corrupt status quo - which is no disclosure of these phony issue ads. Since the Court's injunction on August 13th, the citizens of Wisconsin have been robbed of needed transparency in our elections. CC/WI strongly supports the GAB rule and has been pushing for transparency and disclosure of the donors of phony issue ads since we first proposed a similar rule and legislation back in 1997. Several special interest groups on the right and one on the left sued the GAB earlier in August over the rule in two federal courts as they sought to preserve the ability to influence your vote without telling you who they are. Those suits are still pending. Then, the Wisconsin Supreme Court intervened in this matter -- unnecessarily. Today, the Wisconsin Supreme Court is expected to issue their decision about whether or not they will take jurisdiction over the GAB rule. They ought to bow out of this matter. Several members of the court have been the beneficiaries of undisclosed, phony issue ads run by outside organizations and it would appear that if the court decides to take the case, that they would be wading into a big conflict of interest. In addition, the United States Supreme Court last January in the Citizens United v. Federal Election Commission decision ruled 8 to 1 that more robust disclosure can and should be required of organizations that seek to influence the outcome of an election -- as the phony issue ads run in Wisconsin clearly do. So the matter has already been decided by the nation's highest court. CC/WI has been at the forefront of efforts in the Legislature to pass disclosure laws and now to preserve the GAB disclosure rule. To see why this is so important you can watch or listen to a debate between the CC/WI executive director and opponents of disclosure that was recently filmed on Wisconsin Eye. 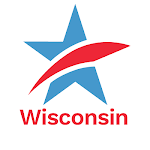 For earlier discussion and defense of disclosure and transparency by CC/WI on the state-wide public affairs television program Up Front with host Mike Gousha, go here. CC/WI will have more to say about this critical matter after the Wisconsin Supreme Court has rendered its decision. Wisconsin Supreme Court Expected to Rule on Campaign Spending Disclosure Rule TodayTweet this!